The grandeur of Indian heritage is such that it fascinates one and all. The mysteries of the country can be unfolded in a number of ways, depending on the taste and preference of the visitor. You name a way, and you can have it served in front of you, right there and then. 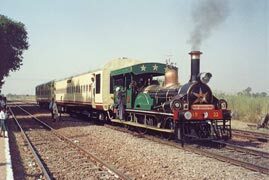 One of the very popular means of India travel that you can opt for too is to travel across the country onboard the heritage trains that ply between important stations. 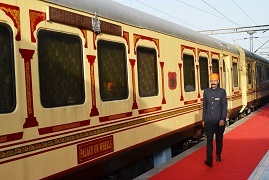 You have already read about the India luxury trains that offer spectacular amenities and take you through the gorgeous locations housed here. How about a pinch of heritage as well to club with your luxury sojourn? Browse through this page to know about the heritage trains in India. Departs from September 2016 to April 2017. Destination: Delhi Cantt. - Rewari - Alwar - Rewari - Delhi Cantt. Departs from Ocotber 2016 to April 2017. Departs from October 2016 to March 2017.